The stage was set. 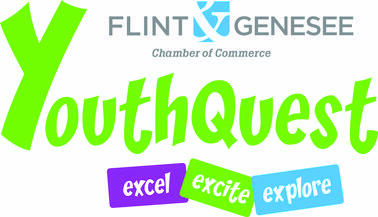 The two favored teams from the Global Women’s Basketball Association (GWBA), the Flint Monarchs and the Chicago Breeze squared off for the title game in Flint at Dort Federal Credit Union Event Center. 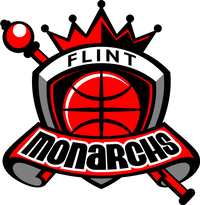 The Monarchs (7-1) earned the top seed going into the playoffs by smashing the Indianapolis Bandits. The Monarchs beat the Bandits like they’d ‘stolen something’ in a lopsided game with 107-69 as the final score. The Breeze beat the Milwaukee Aces to advance to the championship game to face the defending champs. 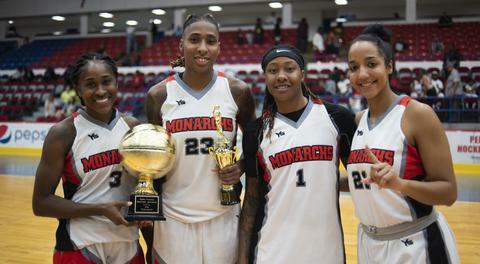 Last year, the Monarchs beat the Aces in Milwaukee to win their second straight GWBA title. The Breeze came into the game shorthanded. Their guard Ariel Easton, who was selected first team All-Conference, was injured in a car accident and was unable to play. Fortunately, the Breeze did have Angelinda Williams, who returned to the team from playing overseas in Ecuador. The first quarter was very physical as both teams played tough defense to set the tone. The Monarchs and Breeze traded some hard-earned baskets as the Monarchs took a 19-15 lead to end the first quarter. In the second quarter, the Monarchs got its offense going led by first team All-Conference, Crystal Bradford. Bradford, rebounding and running the fast break, helped the Monarchs score 11 straight points to take a 26-19 lead with 5:47 left in the half. Asia Boyd hit a baseline jumper at the end of the first half to give the Monarchs a 49-38 cushion. Bradford led the Monarchs in scoring in the first half with 10 points. Jasmine Thomas and Boyd scored 8 apiece and Jasmine McCall added 7. For the Breeze, Williams led with 12 points, Shante Glenn scored 8 and Akyyah Taylor netted 7. “The first half went well. We need to continue to play good defense. We have plenty of scorers to get the job done offensively,” said Monarchs Head Coach Nicole Randolph when asked what the team needed to do in the second half to sustain the lead. Bradford was assigned to guard Breeze’s high scoring forward Williams. Williams was frustrated at times due to the excellent defensive play of Bradford. Coach Randolph emphasized all season that defense is the key to a championship. The intensity grew in the second half of the game as the Breeze came out fighting to stay within striking distance. The Breeze started moving the ball around and hitting open jump shots. The momentum was in the Breeze’s favor until a technical foul was called against Shante Green for taunting the Monarchs’ Thomas. The incident rallied the Monarchs as they cranked up its defense and got its high-powered offense back on track. It was too much for the pesky Breeze as the Monarchs went on to finish off the Breeze for its fifth national title. Final score, Monarchs – 96, Breeze – 85. This was the third consecutive title win for the Monarchs. Bradford, who starred at Central Michigan and was drafted by WNBA in 2015, was named MVP and had a game-high 24 points and 17 rebounds. “We played well, a bit shaky but we came thru,” said Bradford. “I take a lot of pride in wearing this jersey, it’s great to win another title,” she said. After the game, the Monarchs players individually addressed the crowd and thanked them for showing their support throughout the season. “We brought the title back to Flint, it’s hype,” said Jasmine Thomas. Coach Randolph and assistant head coach Linnell Jones-McKinney said they were elated with the win but won’t get complacent. “We’re sending a message to the league, we’re not done,” said Jones-McKinney who last year was inducted into the National Women’s Basketball Hall of Fame. “Our goal is to continue dominance in our league and to win more championships,” she said.